Today's example project is a bit special. 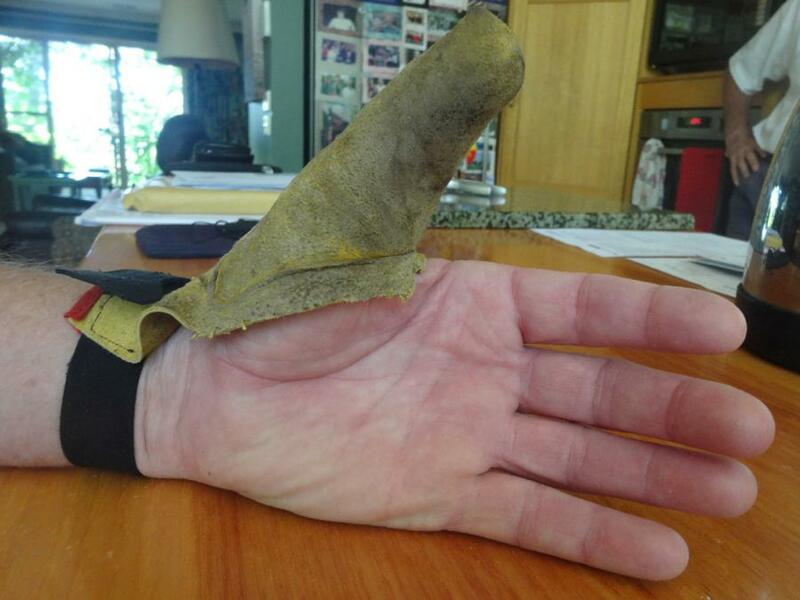 Roz made a Plastimake thumb prosthesis for her friend who recently lost his thumb in an accident. She moulded Plastimake directly over the stump so it's a perfect fit, then she fitted a glove over the top to hold it in place. 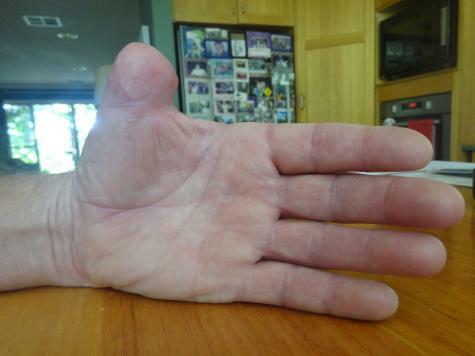 He's now able to pick things up between his thumb and fingers again. 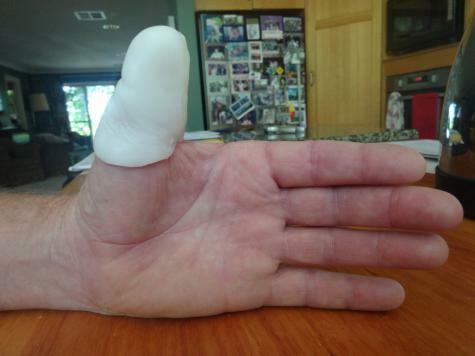 Today I made a thumb for my friend who cut his own thumb off with a saw. The thumb is shaped so that he can now pick up things between thumb and finger. The wrist band is suede type fabric and a velcro tab which he can operate with his other hand. There is raw wool in the finger tip of the glove to cushion the stump if the tip gets knocked. A very happy chappy as the thumb has only been off for a few weeks, now he can get on with things.